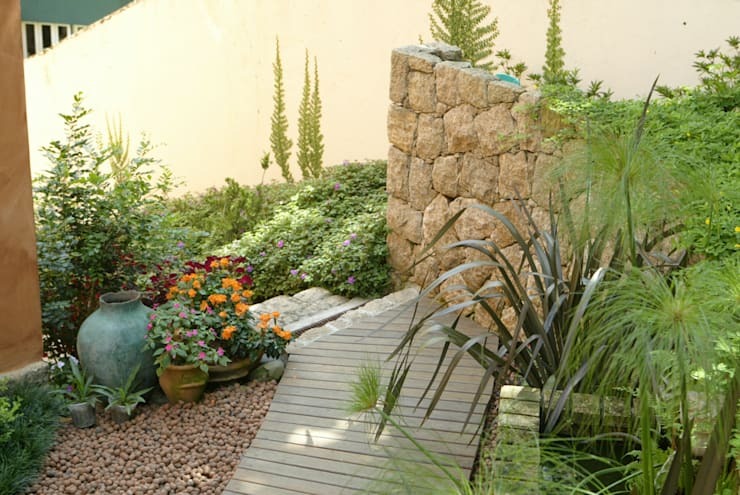 Are you at a loss for ways to make your small garden look attractive? 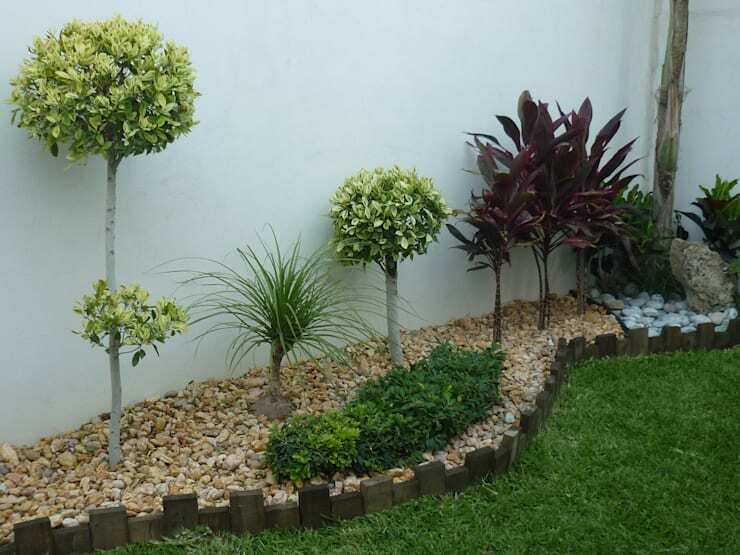 Well, in this Ideabook we concentrate exclusively on creative and inspirational ideas to make your home garden fascinating, comfortable and relaxing. To add some charm and life to your small garden, you need to think beyond its dimensions, and make any nature lovers dream come true. The first garden we visit today is colourful and lively, and because it is situated at the front of the house, this dynamic space is welcoming and friendly too. 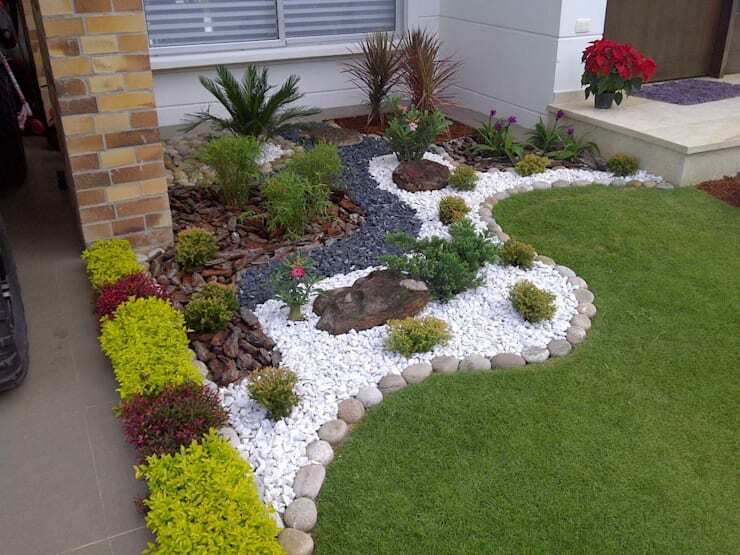 It’s a combination of plants and stones makes this an easy to maintain choice for your home entrance. 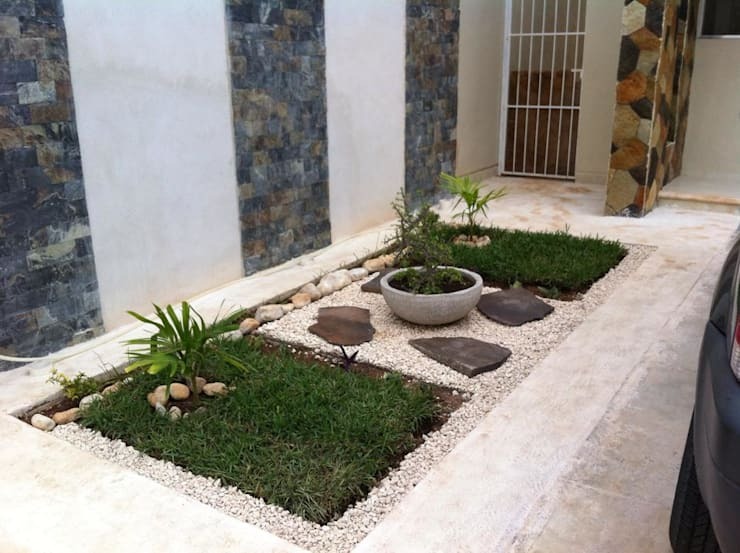 This small garden is creative and inviting, with many colours and flowers. It’s definitely a great way to attract attention to your home, making it a lot more interesting too. Including some stylish bamboo to your garden, is an inexpensive way of adding some fabulous elegance to your home exterior. 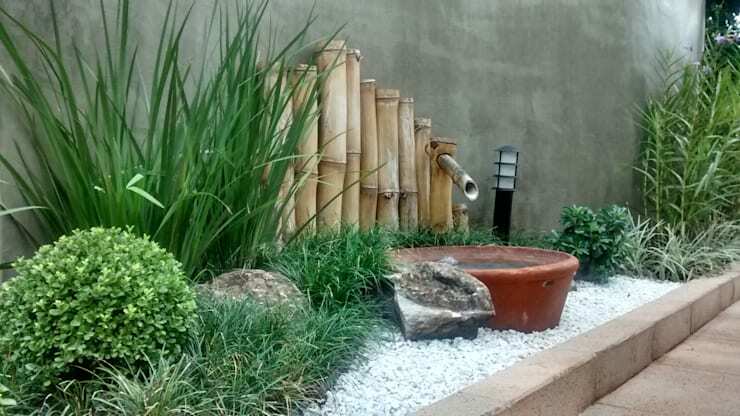 If you really want to be different, then a bamboo fountain is the way to go. This garden example is a great choice for those that want a simple option that doesn’t require regular pruning. The addition of wood, white stones and greenery is elegant and dignified. 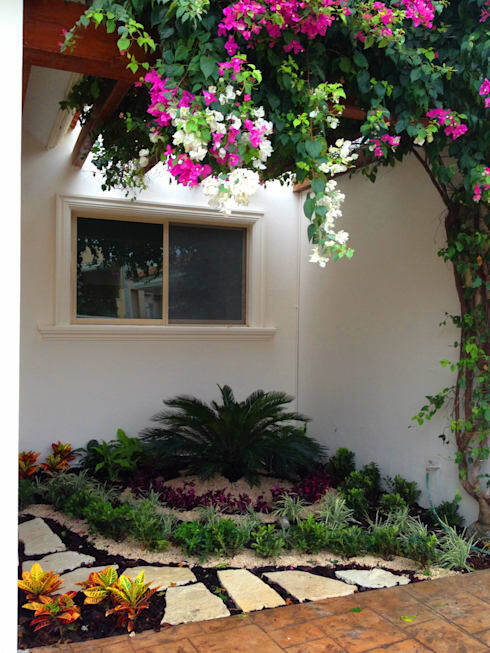 A perfect choice for the garden at the entrance of your home. Classic design is another superb choice for a garden. 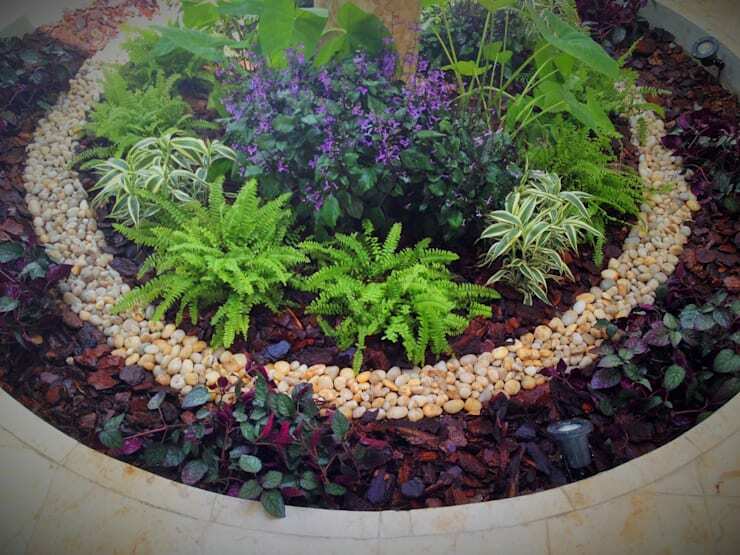 Going with geometric patterns and stones to make your flower beds look sensational is a simple way to be creative in your garden. If your garden area has been concentrated to a corner of your exterior, then its best to make the most of the entire space. 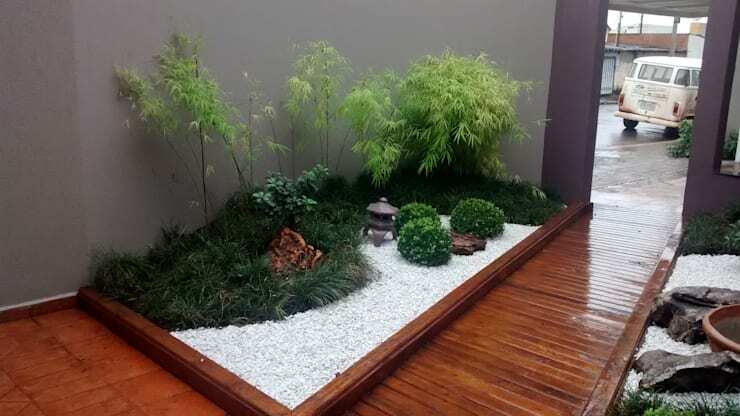 The plants chosen for this creative garden are proportional to the area, which means that the plants are small in stature, as to not overwhelm the garden. This garden is enchanting and attractive, almost like a fairy tale setting, while the simple wooden bench is just a great spot to enjoy the outdoors and nature in the privacy of your home. Just when you thought you couldn’t have a creative fountain in your garden, you see the idea in this feature. 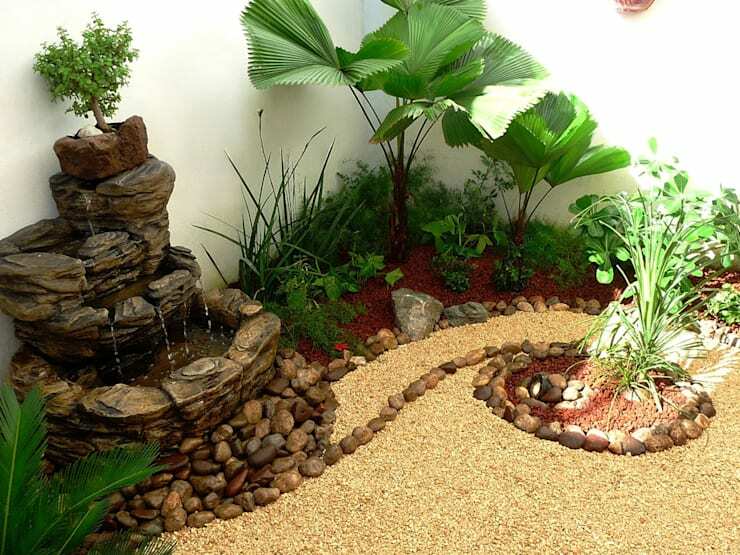 There is something soothing about a water feature, and we cannot wait to add one to your home too. 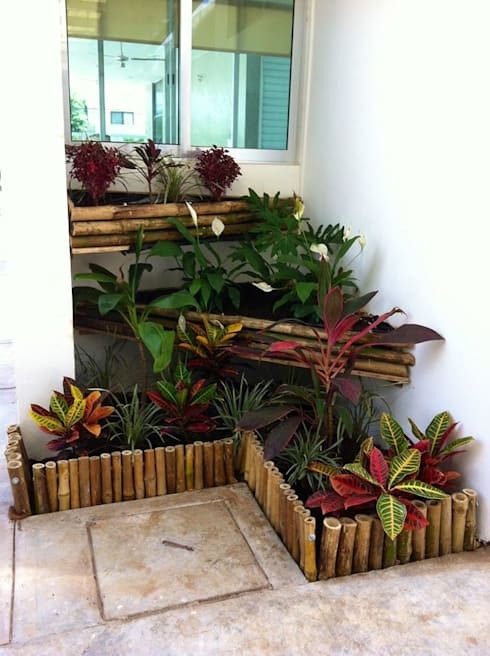 Bamboo planters such as these are a great way to control your garden area, while also having a stylish space to bring greenery to your home exterior. This idea is perfect if you hate the possibility of a trampled garden. A garden such as this is colourful, innovative and quirky. What better way to implement some plant life to your outdoors? Remember that it may be necessary to contact a landscaper to get your garden looking just like this. Utilising all the space available to you it the best way of making your garden spectacular, and this may mean adding some planters to the wall too. A textured garden may just be the solution to your small space problem. 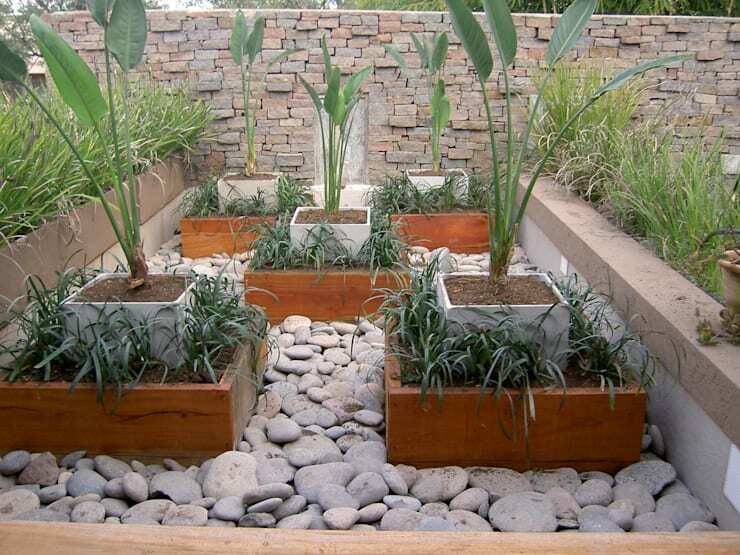 The rectangular planters are attractive and simple, while the large rocks contrast perfectly with the green and brown background. 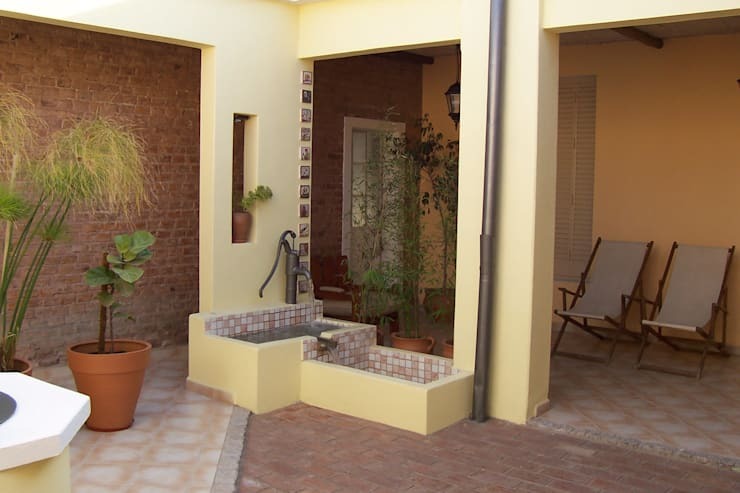 And can you spot the sensational water feature too? Create a sense of wonder with these plants in varying heights. 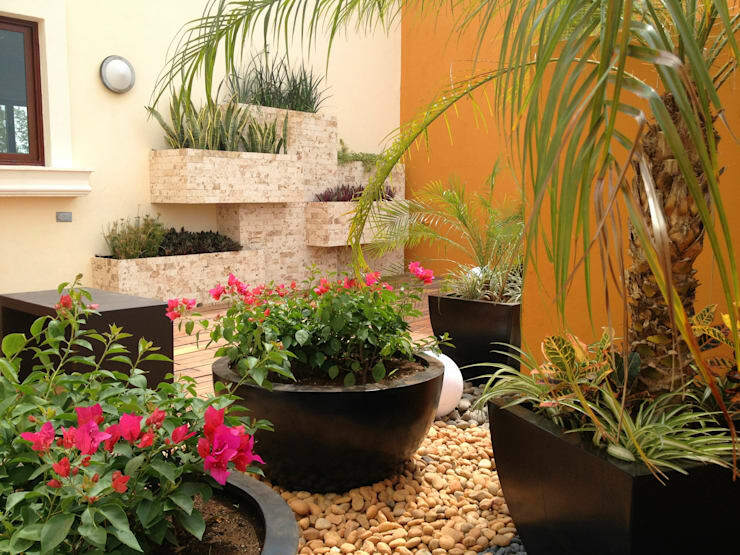 The garden is an unbelievably harmonious design of contemporary style. If the only place that you can get your garden to be creative is in a shaded corner, then that might just be fantastic. But consider looking for plants that grow well in shade, as sun loving plants won’t flourish in this environment. If you loved these ideas, then you will adore the: 10 beautiful and practical ideas for your garden. Which small garden idea would you implement?